What Can Happen When A Nap Drops Too Soon? Ode to the early risers. You’re not alone! But it’s so darn frustrating when your little one starts getting up super early — like 5am! Baby is an 8 mo old. Naps at 8:30am and 1:00pm for about 1.5hrs — amazing! What more could you ask for! Bedtime 6:30pm. And a darn wake up at 5am! This little guy dropped his catnap (that 3rd nap of the day) 3 months ago! Red flag for me. AND to top if off… that’s when the early morning risings started. It’s that little golden nugget of information that helps tell the story. Dropping a nap too soon (in his case at 5 mos old) led to a snow ball effect of early risings. Why? Well, one of the things that can happen when your little one is overtired is (drum roll) early risings. So here is some of my two-cents and what you can do to help. There are several things in the bedroom that can also lead to early morning risings. Darkness of the room is very important. Any bit of light that peeps through a window or door in those wee early hours can actually fully awaken your little one. Temperature of the room is also important, as our body temperature naturally rises as we reach 4–6am. So if your little one runs warm and so does the room, you might want to consider bringing the temperature down to keep their body temp cool too. A warm body plus early morning where your little one's sleep drive is not as strong can wake your little guy up. It’s super important to have the most optimal sleeping conditions. So many things to think about! This early rising has been going on for 3 months. This little guy is not only overtired, but his body clock has become accustomed to waking that early. You know, just like you often wake up right before your alarm goes off sometimes… your body knows this is the time you’re used to getting up. Same thing happens with your little ones. This little guy needs to learn that 5am is NOT the time to wake up. Part of the process is not getting him up out of the crib until an acceptable hour, so he can learn that 5am is still nighttime. Our little ones’ biological sleep clocks typically have a morning wake up time between 6 and 7am. Anything earlier is still considered a nighttime waking. This mom decided his ok to wake time is 6am. So, I also gave some behavioral options for the too early morning wake up if the mom didn’t want her little guy crying. Then after a few more questions, I came to find out he’s just hanging out in his crib at 6am — not crying at all! Win-win. If your baby is cool hanging out in his crib and not crying, it is a-ok to wait until 6:30am with the goal of him falling back asleep. These little guys need practice, so if he’s chilling in the crib, let him be comfortable there, get bored, and fall back asleep. Just know, if you keep getting him up early and interacting at 5am, then he’s going to keep getting up early too. When you set your alarm to wake up at 6am to get ready for work, how often do you wake up right before your alarm goes off? Then come vacation time, and BOOM, there you are up at 6am. That’s exactly what can happen with your little one. You’re going to want to give him AT LEAST 3 weeks to work on this. With patience also comes consistency. It’s our job as parents to give our little ones consistency, so they know what to expect and can succeed. Many times we (sleep consultants) talk about getting your little one to bed early, especially if the last nap of the day is missed or super short. And just so you know, early to bed does not necessarily mean early to rise! Sleep begets sleep. Too late of a bedtime can lead to over-tiredness AND night wakings! 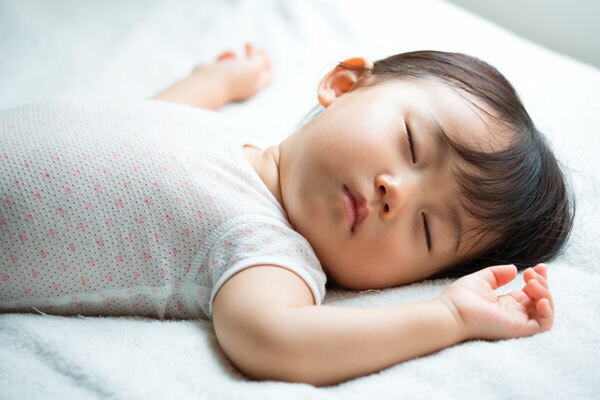 With an accumulation of being overtired from too late of a bedtime, your baby not only has a harder time falling asleep but can have increased night wakings too. And guess what… that 5am is a nighttime waking! Earlier to bed is always better. As sleep becomes more consistent, you can slowly adjust bedtime by 15 minute increments every week until you find your baby’s sweet spot. If you’re looking for some one-on-one advice, or have a situation that is slightly different and need some personal support, go here to schedule a FREE 15-minute call with me, and we can chat about it!